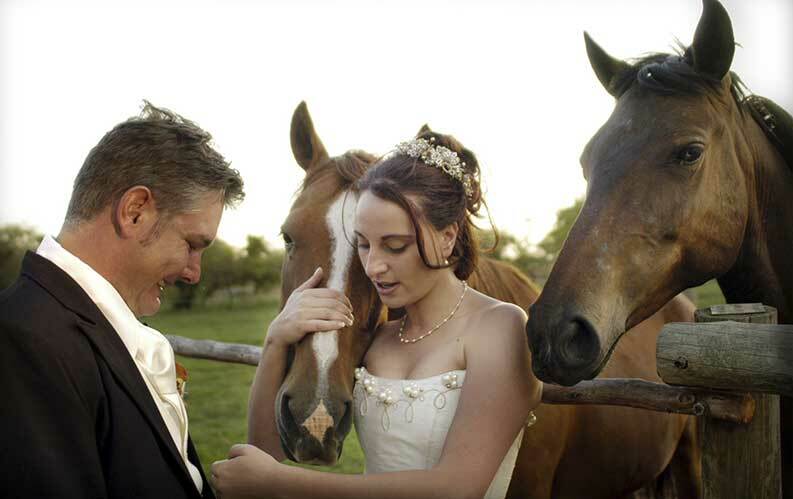 Shabelo Estate is a versatile events venue situated 20 kilometres’ drive to the North-East of Pretoria. Our services range from the wedding you’ve always dreamed of to the perfect getaway conference for the business-minded. 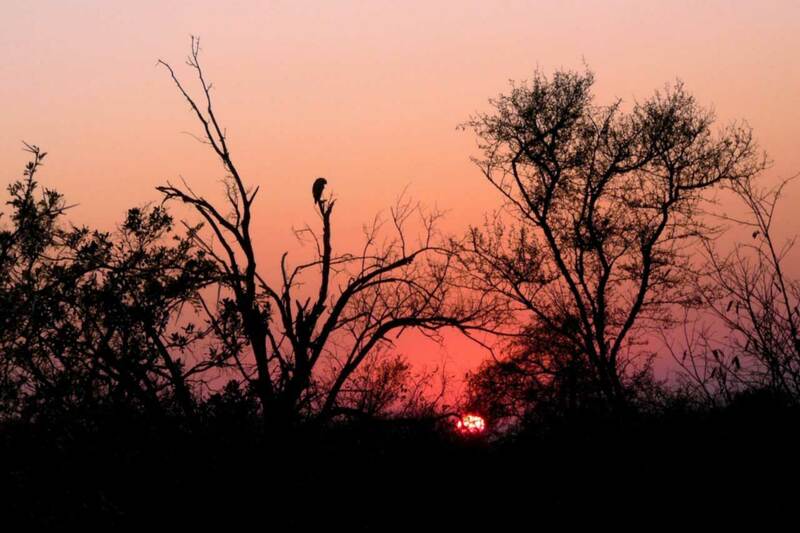 With our warm bushveld hospitality, Shabelo Estate is situated far enough from the city to encourage relaxation yet still close enough to allow convenient access to major centres. The availability of limited 3 star rated accommodation also solves the ever-existing problem of the family or business associate from out of town. At Shabelo we believe that the only things in our lives that last forever are our memories... and we would like to share in your fondest ones. Please have a look around the various sections for more information on our services and some pictures. Should you have any enquiries or if you would like to request our wedding package and pricelist please visit the 'contact' section for more information on how to contact us. 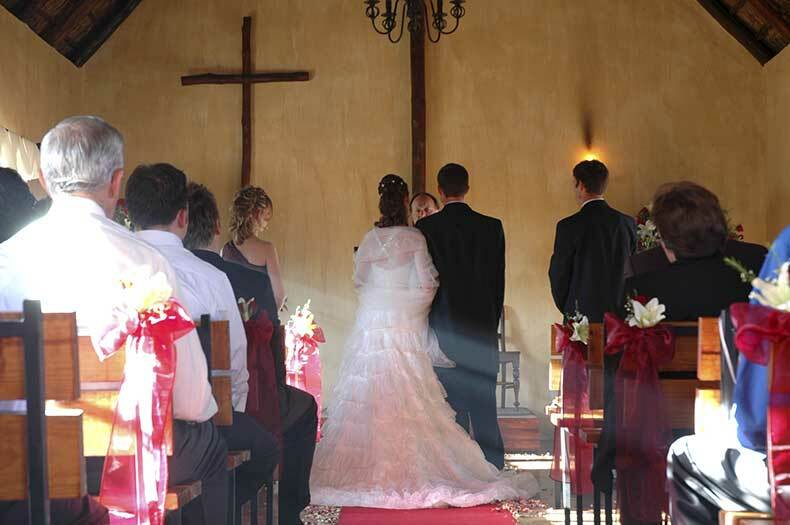 Our Chapel, enveloped in the midst of a rose and lavender garden, can comfortably seat up to 120 people and has been neutrally decorated to accommodate any theme or colour scheme you may have envisioned for your special moment. The signing of the contract can be done in the chapel, in the presence of your friends and family, on our specially handcrafted steel table. 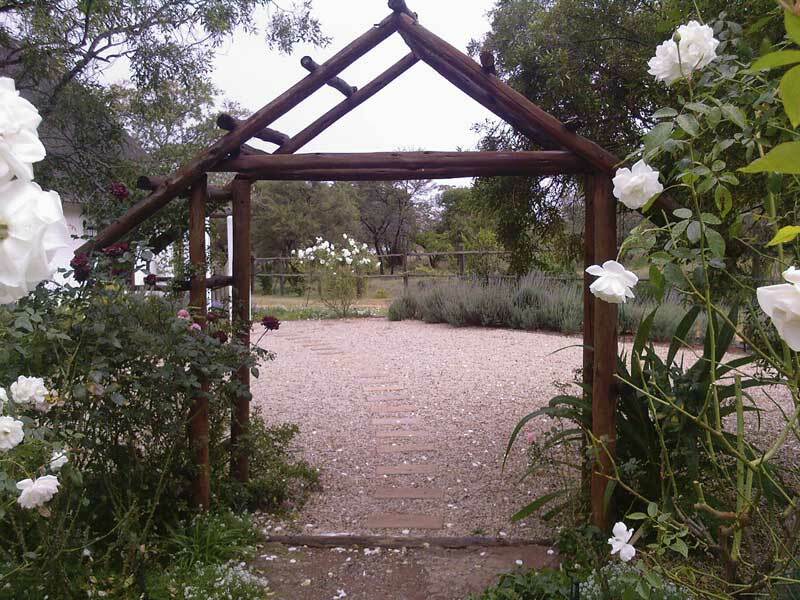 If you follow the gravel path from the Chapel through the rose covered arch you will find our Lapa. 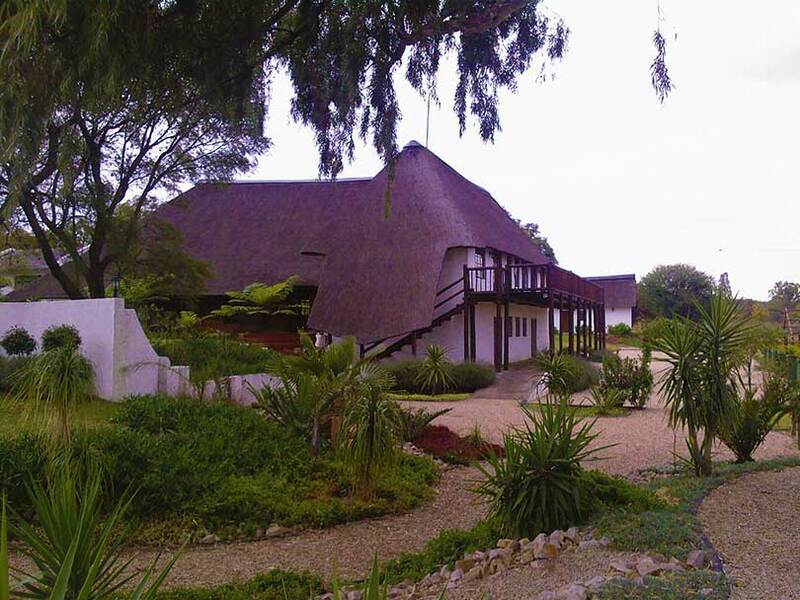 This spacious thatched-roof hall is capable of seating around 120 while still leaving ample room for the young at heart to move around the dance floor. 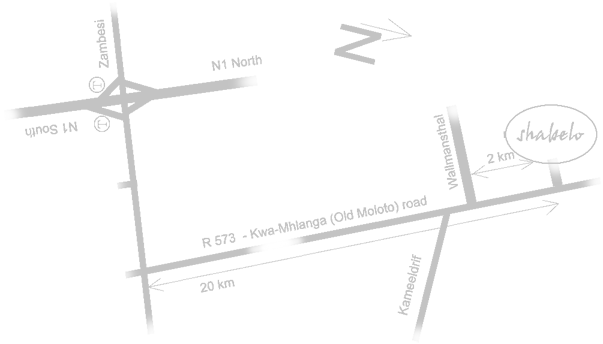 To best suit the number of guests in your party and depending on your floor layout we can serve from a number of locations within the hall whilst the high roof allows for an airy ambiance despite the noise and movement on the floor. We have a number of different buffet-style menus to choose from – but regardless of your choice or budget we assure the wholesome farm-style goodness that Shabelo has become renowned for. For those who love the outdoors – we have plenty of that. Whether you are planning a magical garden wedding or are simply looking for the perfect photo backdrop, Shabelo has the answer. 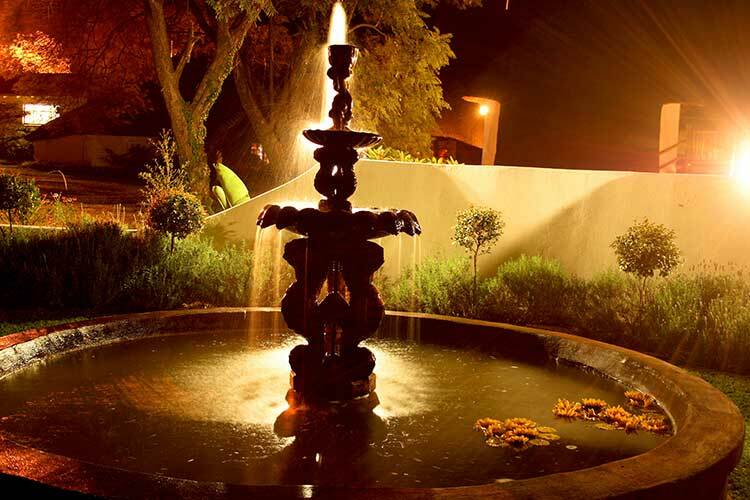 A country swing on a giant gum tree, a pair of playful horses, an authentic wind pump and a picturesque fountain in the midst of a well-kept garden surrounded by beautiful indigenous trees – these are only some of the unforgettable scenes Shabelo offers you. 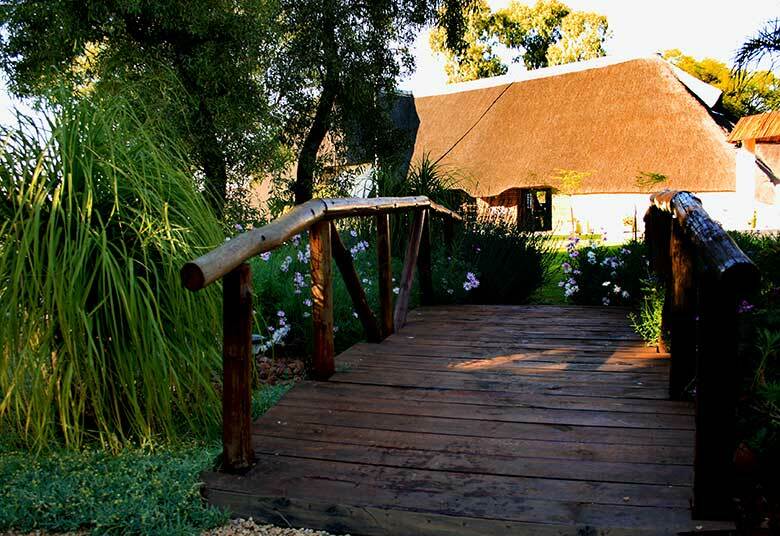 Shabelo is the ideal venue for your company’s next out-of-office indaba – whether it’s for training, team-building or a corporate function, we offer you bushveld tranquillity with professional service. 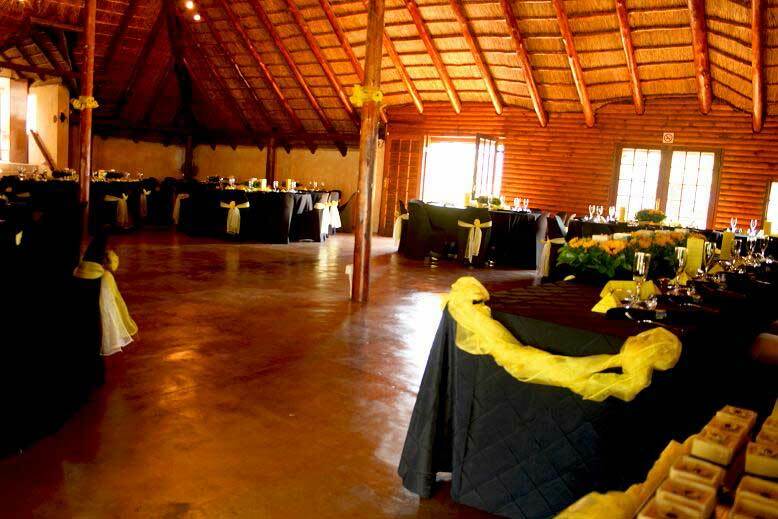 We also cater for more personal events and functions like birthday and anniversary parties, matric-farewells and receptions, with our authentic bushveld boma adding to that feeling of ultimate relaxation. We have a variety of different 3 star rated accommodation options available with our most luxurious being the Bridal Suite. We also have various 2 to 3 sleepers with en-suite facilities and a communal room for larger groups. 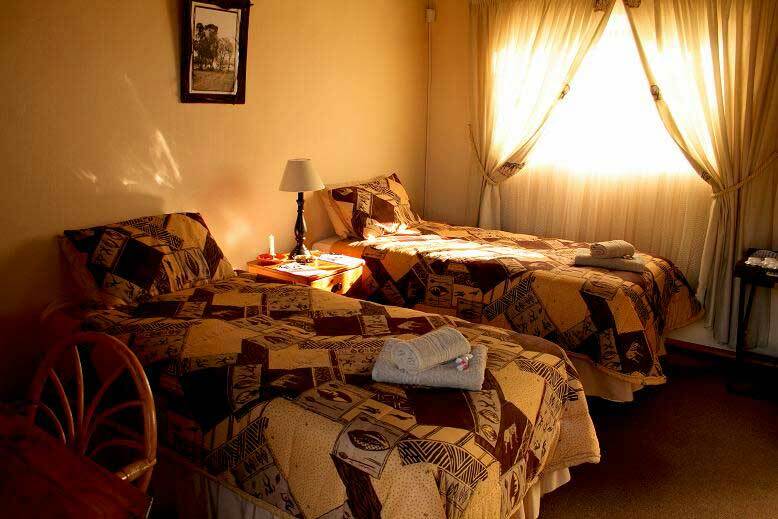 All our accommodation has the option of including a hearty Breakfast served in the Lapa. For more information or to request a Wedding Package or quotation, please write to info@shabelo.co.za or phone Gerda on +27 82 374 5450. 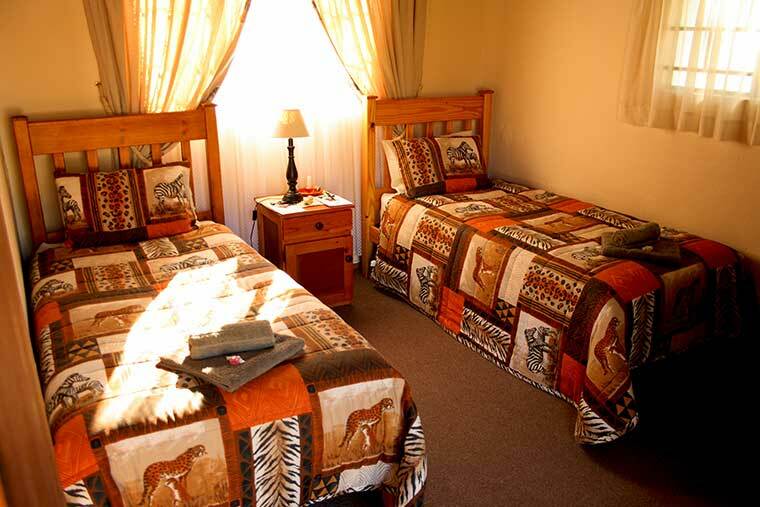 We offer 3 star rated accommodation.